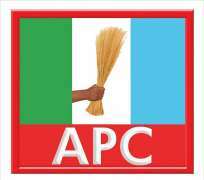 A Veteran Journalist and retired Permanent Secretary, Borno State Civil Service, Musa Abba Aji who is a Card Carrying Member of the ruling All Progressive Congress, APC has kicked against the purported endorsement of Indirect Primaries by Critical Stakeholders, insisting that, it is only Direct Primaries that guarantees voters rights in a democratic system. This is even as the National Working Committee of the party in Abuja said yesterday that any indirect primaries which led to a protest from any stakeholder or aspirant will lead to the cancellation of the exercise and resort to direct primaries in the state. Aji threatened that unless the indirect primaries were aborted and reversed to Direct methods of electing candidates, he would continue to mobilize electorates to give their massive votes to forthcoming presidential elections on the platform of the ruling APC, while all other elective positions down to Councillorship should be given a protest votes in favour of any better candidates of other political parties in the state. Aji regretted that the so-called critical stakeholders cited insecurity, lack of funds and inability to have a complete online register of APC members in the state that brought about the adoption of the indirect primaries, which according to him, are not only baseless, but an act of total disenfranchisement of electorates in choosing their leaders in the state. His words: As a bonafide and card carrying member of the APC, I am strongly opposed to the indirect primaries in Borno state. This indirect option is not only an act of cowardice, but a step to disenfranchised all APC voters in the state. "If such method (indirect primaries) is not suspended for Direct Primaries, we will continue mobilizing electorates for a protest votes come 2019. "We call on the National Working Committee, NWC, and leaders of APC in Borno State to rise to the occasion, by adopting direct primaries, which is the best democratic practice for all elective positions on the platform of the All Progressives Congress. “This will further enhance participation and promote inclusion within the rank and file of the APC." Aji stated.